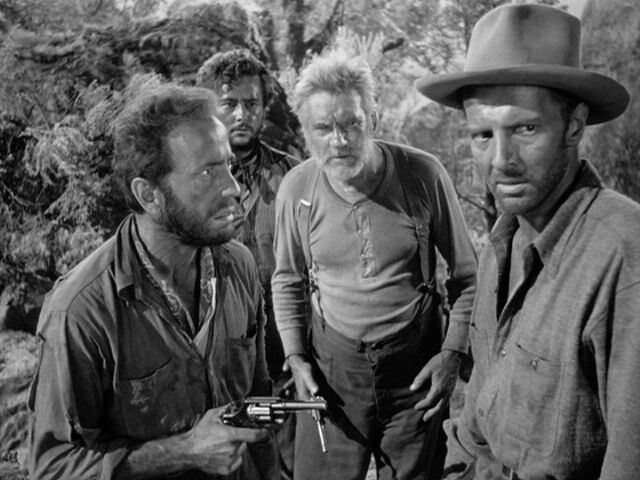 How do I describe The Treasure of the Sierra Madre (1948)? Is it an allegory? An adventure? A tale of redemption? Of the evils of desire and wealth? Sorry, I can't do it. I'll just say this film kept me thinking throughout, never sure about any character until the end. 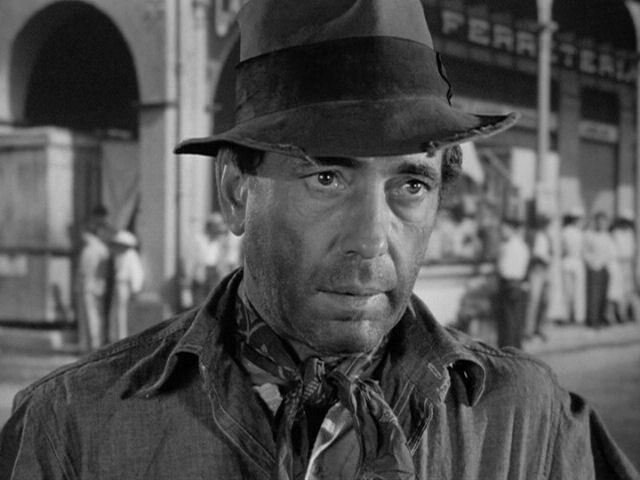 The famous and oft-misquoted lines: "Badges? We ain't got no badges. We don't need no badges. 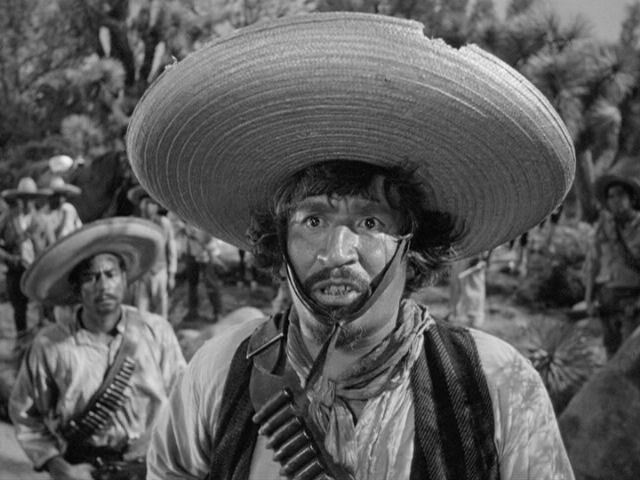 I don't have to show you any stinking badges!" 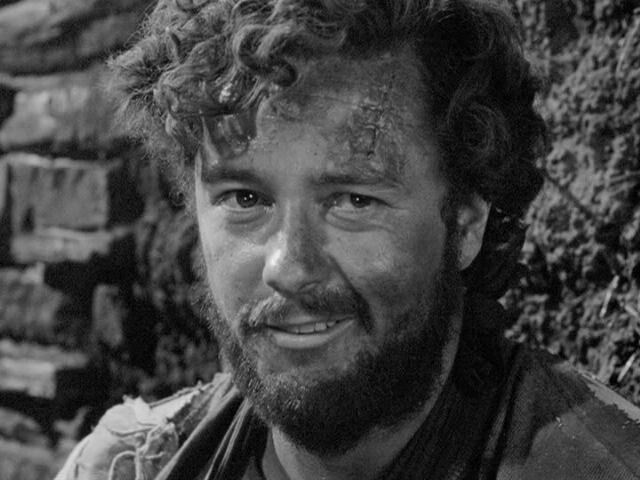 The hunky (if a man may be so bold to say) Bruce Bennett. 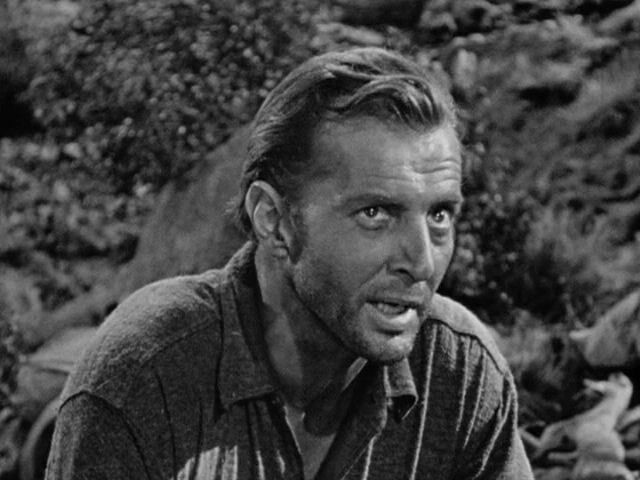 He was Edgar Rice Burroughs' pick to play Tarzan, and eventually did, but not until after Johnny Weismuller (who had 29 gold Olympic medals but wasn't much of an actor). Bennett's birth name was Herman Brix, and he won the silver medal for shot put in the 1928 Olympics. 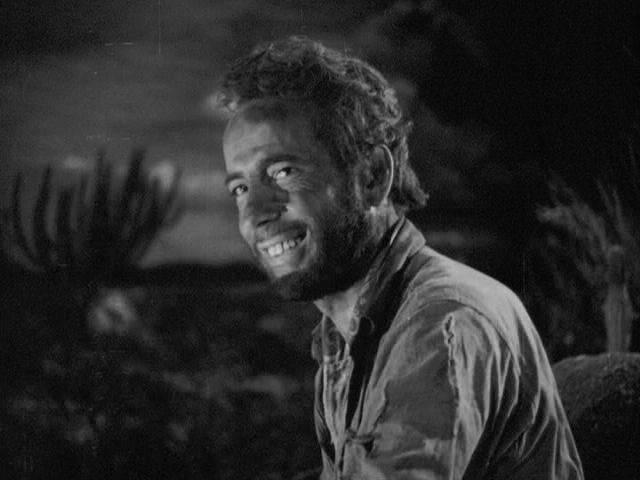 The personable Tim Holt who, at one time, was the fastest draw in film, able to draw his gun in five frames (about 1/6 of a second). 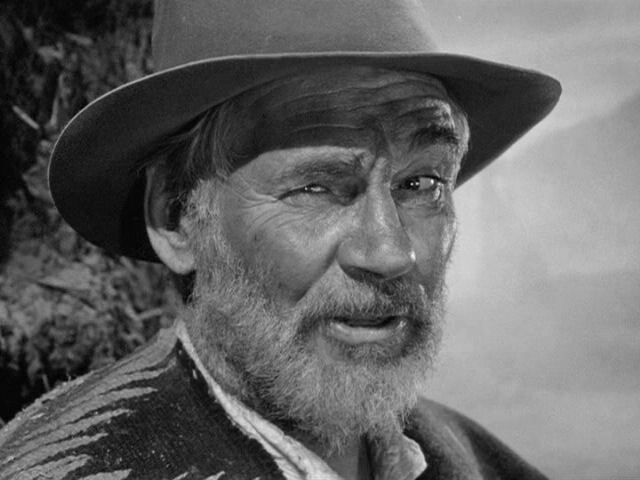 Walter Huston, the director's father, superb!